But you often feel solitary in your efforts and wonder when will the world wake up?! When will your heart dream ignite? 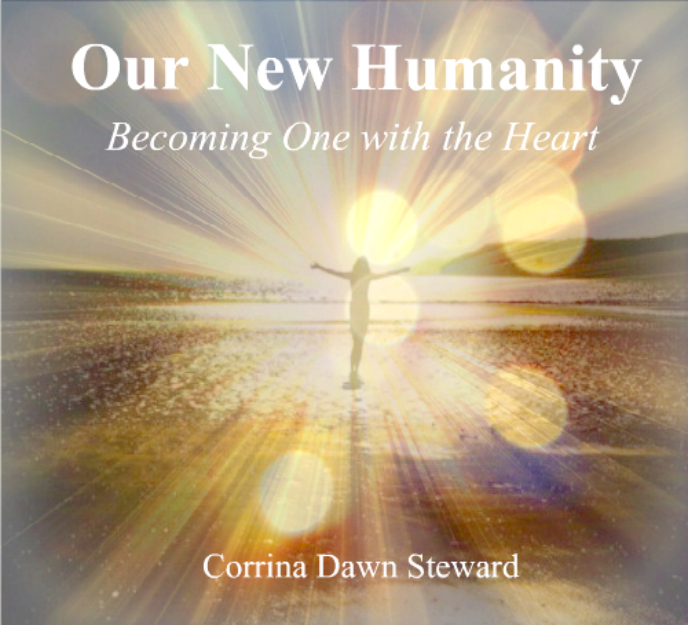 In this mini-retreat, Corrina Steward, one of the most powerful New Earth manifestors and transformers, gathers heart-centered, soul awakened leaders to ignite their heart dreams through the power of the unified heart, a unity consciousness energy field. IMAGINE a whole day to be in your heart space…dreaming AND seeing your heart dream take off. We will gather in Corrina’s home with the serene backdrop of a protected wetland, a diversity of bird life, and the golden grasses swaying in the sunshine. Our day begins with sampling high vibrational elixirs of crystals and flowers…beginning to awaken your heart stirrings…. A sound healing on the deck will leave you feeling light and ready to RECEIVE… the incredible BUZZ of high energetics that only Corrina can bring in! May 14th will be a day you’ll never forget. 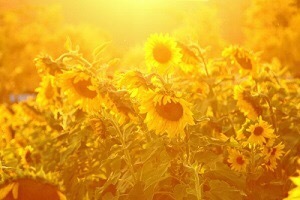 The day that your Heart Dream Ignited! Corrina’s gift is to co-create with the sacred light and geometries of the New Earth to manifest a field of infinite possibilities. Making use of both the indoors and outdoors, we will access the New Earth elemental-etheric energies offered by this pristine location and create the “infinite possibilities” energy field. The unified field of light will be anchored into and around our group enabling quicker envisioning, transforming and manifesting the heart intelligence (what the heart dream is made up of). Corrina will teach you how to access the field of infinite possibilities and how to further amplify your manifestations to awaken your heart dream. Igniting the New Earth Dream: Why Now? 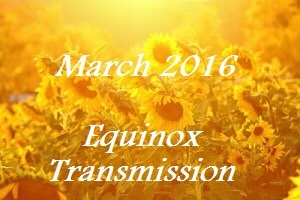 2016 (a 9 vibration year, which indicates completion) is the the ending of the last Creation Cycle. In 2017, Earth will reach it’s new Galactic Zero Point resulting in a a new Creation Cycle. With the new Creation Cycle comes a re-learning of how to live. As heart-centered people we already intuitively understand how to work with the new Creation Cycle. Yet, we can be so used to the old ways that it takes teachers like Corrina and a community of like-minded hearts to validate our heart truth. Learn about the heart virtues that open the “energetic doorways” to the unified heart and greater manifestation of your heart truth. 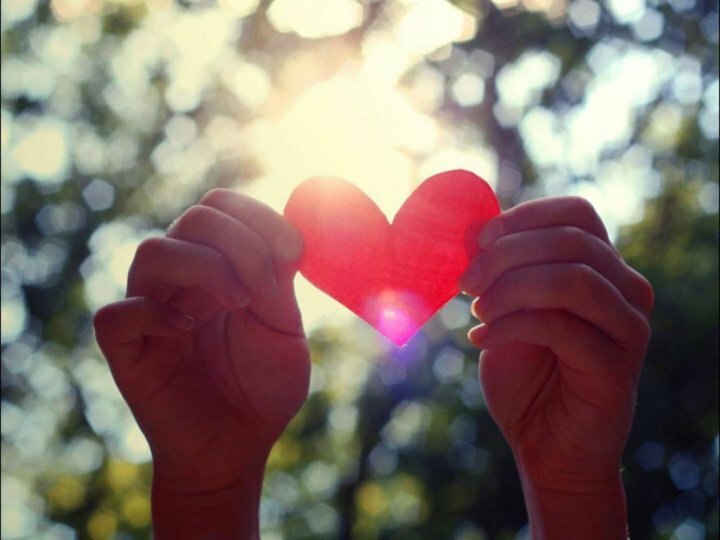 Listen and share your heart truth to further “see” and “know” how to create your heart dream. Receive, through Corrina, a multi-dimensional, heart ignition trigger that will solidify your “divine timing factor” for your heart dreams to manifest in perfect Earth Time. Put your heart igniters to the test by activating an Earth Heart Trigger point that will amplify the unified heart of Earth. To join us, purchase your registration ticket HERE (registration button below too). This is an intimate gathering so slots will go quickly. There will be a couple of sliding scale slots available once a minimum number of slots are filled. Please contact Corrina directly if you’re interested in the reduced rate slots, corrina@earthhive.net. 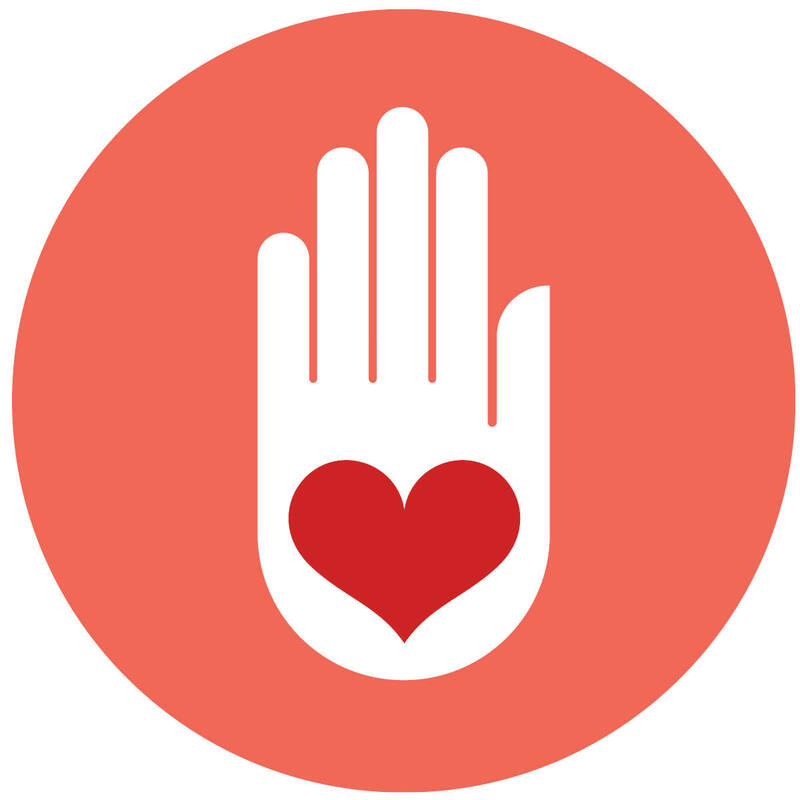 It is recommended that you complete the online course ‘The Spiritual Science of Heart Manifestation’ to be best prepared for the transmissions and teachings of the mini-retreat. You can access the course HERE. Once you registered, you’ll receive the mini-retreat address and additional information about the day. Registration covers the sound healing, energy transmissions and teachings. Please bring your lunch and additional snacks and drinks. If you are traveling a distance to the mini-retreat and would like to stay overnight, there are many wonderful hotels and B&Bs in the area. 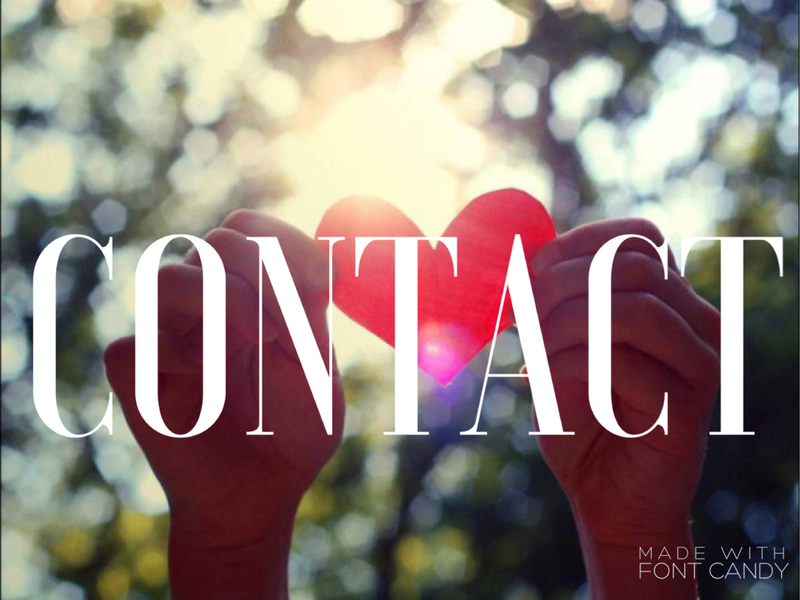 If you need assistance with locating an accommodation, please don’t hesitate to contact Corrina. 2016 has already been a hugely transformative experience of the light for me. For almost the entire month of December 2015 I was waiting for my son to be born. His due date was Christmas which was I saw as no coincidence, representing a realignment of the inner and outer Christ child. In the time that many were calling the resurrection of the higher self into the lower self it was very apparent that our son was coming into the planet in order to support the resurrection of humanity into the the solar Christ with the Sophia, a unification of the divine masculine and feminine. Emmanuel, “God’s promise”, was born on January 13th. From my galactic, Christ consciousness view I saw his birth as part of the opening of the 13th ascension code on Earth, an anointing of the new tribe of humans from both the Angelic and Christ lineages. This, in itself, is a huge transformation for myself and my family and a contribution to the larger cosmic shifting on Earth. Emmanuel’s birth triggered in me a “light event” that ultimately raised my light quotient (more on this below). My intuition and dreams showed me how Emmanuel would change my life, the alchemical fire burning away shadow and darkness and the separation of the ego realigning into “unified light” (unified living light sourced from a unified light intelligence, or consciousness). What I didn’t realize was how physical the experience would be. Less than 24 hours after Emmanuel was born, my blood pressure dropped to a deadly level and it was discovered that I was internally bleeding. The hours of agony that I experienced after this were some of the scariest I ever experienced in my life. When I was finally stabilized after receiving a blood transfusion I was able to do some incredible forgiveness work that led me to peacefully release my earth life. I accepted whatever outcome would occur and had no fear or resistance of “death”. I had a second surgery, after having a C-section, in order to get to the source of the bleeding. In the end, the surgeons found no source for the “bleeding”, yet I did. My experience showed me many of the horrors of darkness and manipulation on earth through the eons of time. And yet I was able to forgive all of those demons and even allow them to exit through me as a portal for peace on earth. As I entered my second surgery there was so much love waving through my heart that I felt fully ascended. I had the realization of the great power of light and love that exists within each of our hearts. I felt the awesome ability to heal with the light and the knowledge that miracles are possible for humanity and Earth through this light. Since that surgery, I have become aware of how the soul essence, my light, has become an increasing presence in my existence as a human being on Earth. My ability to offer healing and energy realignment has transpired into a simple presence that “washes” the human spirit and body with light, manifesting a natural unfolding of healing, transmission and experience of light for others and myself. In my postpartum time, I’ve been blessed to be surrounded by many women who have given a helping hand in this very precious and sacred time. In this community of women, there’s been subtle yet profound transformations occurring simply by being in the presence of this light. The changes and shifts that I am witnessing are akin to those stories of the Christ family and the disciples being able to perform miracles simply by people being in their presence. I won’t attempt to explain what it is that is happening, because I really don’t know. I do know that there’s something very new and exciting happening that is just beginning to be revealed. The Ascended God Light transmission, looking back, I can see developed out of the process of spinning light, something that began last July that initiated the mastery of light (light mastery is a form of alchemy where you can create matter out of light). From this experience of spinning light we embody light with the capability of “being light” in a whole new experience. The beginning of becoming light begins with activating the four unified heart codes: love, light, power and wisdom. Each code is a light intelligence, or frequency of light that contains knowledge and instructions. The light code itself “instructs” the awakening of your soul essence beginning at your heart center, the heart chakra. The light code brings into your awareness your soul’s light “transcriptions”, all that you are through time and space. This is like having your soul’s manuscript to read. Your soul “essence” is the fingerprint of your soul, unique to you and full of knowledge (that becomes wisdom, or intuition, thru the activation of the wisdom code). The light code awakens your inner drive, motivation, and conviction to walk in your soul purpose on Earth and to be of service to humanity and the Earth. At the stage of initial awakening, the light intelligence of your soul’s essence raises your body’s vibration, the spin of electrons and protons, and your light quotient, a measure of your “lightness of being” (how well can you shine light thru the thoughts, feelings, experiences and the matter that creates you?). As your soul essence awakens more deeply, you become linked to the “unified light” from which all of our souls’ light reflections are sourced, God’s Light. Thus, through the light code of the unified heart you experience the unity of light and the diversity of light, your unique soul light intelligence. Read more about the Light Code of the Unified Heart. Shortly after coming home from the hospital, I had a dream where I was in a church and a female priestess gave a Cosmic Christ sermon. She was explaining to the congregation, who were transfixed (hypnotized actually) on her words, that the true Christ was from the stars and came to awaken the light in our hearts. I believe this dream is a clue, a message even, for our human family to what is transpiring at this time. We are in a time when the balance has been tipped towards the light. But the light is more than an agenda (light vs dark), and in fact, in the year 2016 light workers, star seeds, cosmic ones, ETC will begin to imagine, envision, and know that the light is a physical property from which we can create reality, or matter, and the long prophesied vision of Heaven on Earth is part of the storybook of this light work. We are beginning to experience light as a crucial ingredient for our co-creations, and as such, we will begin to understand not only the bio-spiritual properties of light but we will further become the experience of light. There is truth revealed when being God’s Light, the unified light. We will understand this truth and make it a larger reality in our own communities, families and, eventually, the entirety of the human family. What is happening to a small portion of the human family is a vast upgrade into the infinite qualities of unified light for alchemical creation. Through this creation process, we are expanding into the fullness of being God Avatar creators like Jesus and the disciples. The importance of this process at this time is to support humanity in ascending into higher frequencies and to “save” itself as we are soon to understand ourselves as part of a larger galactic reality. We are required to “upgrade” into this unified light to ease the tension of planetary polarities and to establish an identification of the light and peaceful unification within the planetary energy grids, creating a unified, whole Earth. To experience one self as a being of light is a brand-new human experience. This experience is a very natural, easy unfolding. It is the actualization of transmitting light, frequencies that translates into new human behavior, awareness, and realities. It is the actualization of presence into form. It is the actualization of wisdom into action. I’m grateful for all of your light work and am here to support you in expanding your soul’s light dream. May you awaken your light this year with confidence and commitment. The future of the Earth will be changed by your soul’s light! Copyright Notice: All original New Humanity Press Daily (NHPD) content written by Corrina Steward must remain on the NHPD site. Permission is granted to share a link to blogs, transmissions and essence photos and to quote from Corrina’s articles and blog posts with reference to Corrina as the author and links to NHPD. 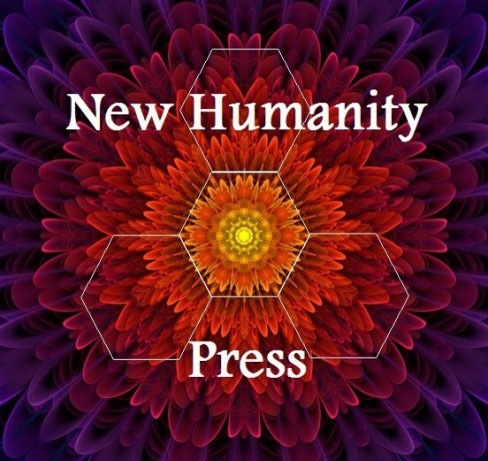 Where possible, Corrina requests that the New Humanity Press logo (above) be shared with links and quotes (copy image above). Thank you for honoring this copyright. 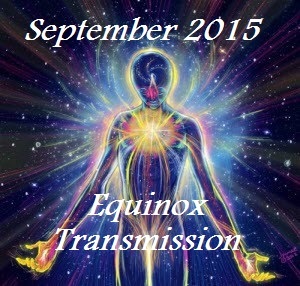 This month’s energy transmission, the 13th Ascension Star Code, prepares us for the December 21st “Wings of the Dove Gateway” and the entry of the Angelic Earth timeline as a physical manifestation. The Golden Hearted Beings have long been prophesied. At this time, we are receiving the light codes and frequencies that awaken our Golden Heart AND re-integrate the Human Christ Consciousness Code to manifest Light “miracles” on the New Earth. 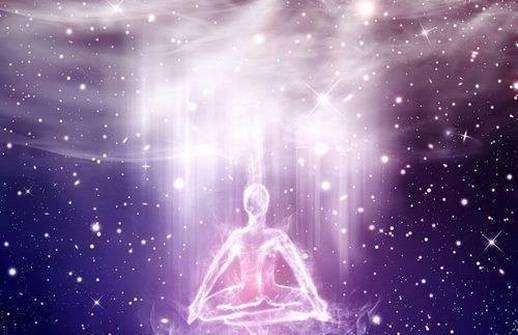 In this transmission, the 13th Ascension “Star Code” is activated in your multi-dimensional, unified heart. The star code, a 13-pointed Golden Star, realigns you to the source of the 13th Ascension Gateway and the Angelic Earth re-creation. 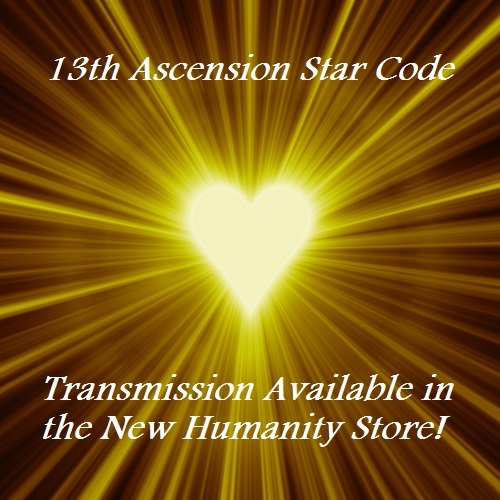 As a light tool, the 13th Ascension Star Code enables you to resonate with and physically manifest on the Angelic Earth dimensional plane. 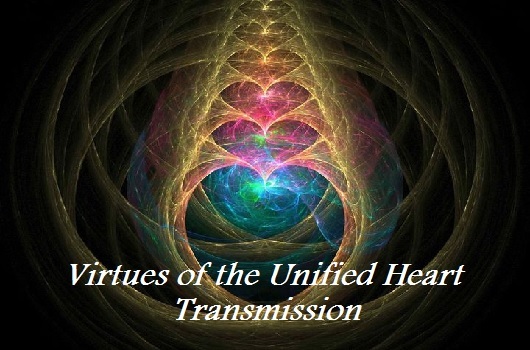 The transmission travels through several Earth dimensions/timelines to re-create Creation and reveal a newly manifested Angelic Earth, a higher Earth creation. 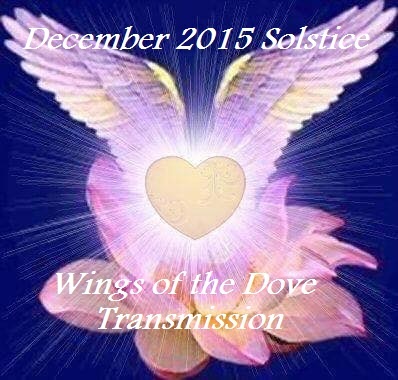 Included in the transmission recording is a December 2015 energy update about the energy acceleration as 2015 closes and we await the Wings of the Dove Gateway.